The Butterfly Effect – but without Ashton Kutcher. Marx was a strange little man…or at least I think so, I haven’t ever studied his life and I don’t plan on starting any time soon. But he was strange. I’m going by this theory, just so you know. Every year, every semester, every course his name just pops up. Without fail. For the past four years (A’Levels Sociology included) I’ve been studying Marx. And the amazing thing is that his theory is all encompassing; Economics, Sociology, Philosophy, International Relations, Politics, Development…it has EVERYTHING. So no matter which way I go, there he is. But what he had never been born? Or had never given his theory? I was wondering that in the morning. I’ve actually been wondering that a lot lately. What if there was no such thing as Marxism? There would be no Socialism or Communism. There would have been no Soviet Union. Russia would have gone off on a different tangent after its civil war and there would have been no United States of Soviet Russia. Which means that the Allies would have been a superpower short in World War II. But then again, there would have been no Cold War. No division of Germany, no Berlin War, no revolution in Cuba, no Bay of Pigs incident, no Cuban Missile Crisis. Hell, maybe there wouldn’t even have been nuclear proliferation. Or maybe no Sputnik. No KGB vs. CCP in China. Taiwan would probably still be a park of China and Google wouldn’t have been banned. No Korean War, no Vietnam War, no Soviet invasion of Afghanistan- which would, in turn, mean no creation of the Taliban. And can you imagine that? No Taliban? Without the Taliban, Afghanistan might not have been under extremist rule. Which means they would not have been open to Al-Qaeda who would not have had a territorial base which would render the Afghanistan War of 2003 moot. Since the Iraq War was more or less an offshoot of the Afghanistan War, Saddam Hussein might still have been alive and kicking and ruling over the country. 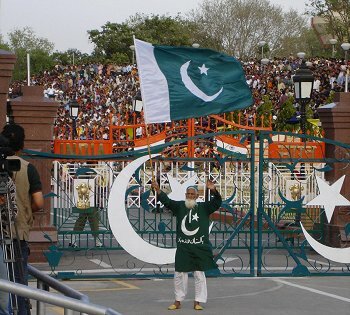 And since there would have been no war in Afghanistan, no terrorists would have crossed over the border into my part of the region and Pakistan would have been just the mildly off, mildly unstable, seriously kooky country (with a strange love for Baba Pakistan) it has always been instead of the “hot bed of terror” it has now become. And I would not have stood in the middle of university and heard the loud explosion or felt the ground shake or smelt the gunpowder in the air and the little boy who died of shrapnel in his neck would still be alive. Is it really possible that the unbelievably flawed theory of one man could lead to all this? But then again, if ‘ifs’ and ‘buts’ were berries and nuts, we’d all have ourselves a merry little Christmas, wouldn’t we?! ~ by thatchickperson on November 7, 2010. I haven’t studied Marx either but he did come up in a conversation I had with an old friend. 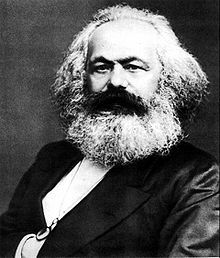 Like I said , I have not studied so I don’t know if this is true or not, but my friend told me Karl Marx was a Christian until he went to college and learned about the theory of evolution. After that he formed all his world views and his own theories.